Update 8/05/2018: HOTTEST-OF-THE-HOT. 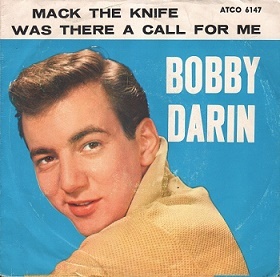 . .
Bobby's MACK THE KNIFE lands the number three spot on Billboard's "hottest-of-the-hot list: the 600 most massive smashes over the chart's six decades." It also earned a GRAMMY for "Best Song of 1959" and Darin was awarded "Best New Artist" at the same ceremony. Big congratulations to David Campbell, Marina Prior, Martin Crewes, Simon Phillips, Michael Waters & the whole DreamLover team on their six nominations for The Helpmann Awards. Congratulations David Campbell! The Helpmann Awards winner for Best Male Actor in a Musical. Update 6/01/2018: NEW BOBBY DARIN CD . . .
Real Gone Music and Second Disc Records announce a July 13, 2018 release date for: Go Ahead and Back Up-The Lost Motown Masters. The CD includes a 24-page booklet including liner notes and rare, never-before-published period photos. From Sydney to Melboure, the awesome cast and crew brought Bobby's life to the stage. 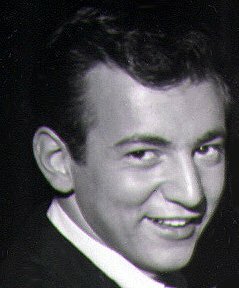 The sold out shows, and wonderful reviews proved Bobby Darin is timeless. Thanks again for the wonderful collaboration of producers, cast and crew. Be sure to check out Bobby's current TV schedule at TV- Guide! The Godmother says: "Come back soon ... OR ELSE!" "Thanks for reading, bambinos and keep checking back for more updates. See you on the web, you cutesy!"